So You Want to Write a Book..? I got my book deal in April 2018. It was a big moment of celebration for me as it’s something I’d been thinking about wanting to do for over five years. I caution my use of words here – THINKING ABOUT – because that’s really all I’d been doing. I hadn’t actively been working towards getting a deal or writing a book at all. Because of this my experience of this whole process is probably quite different to that of someone ardently pursuing it. However, I hope sharing the things I’ve learnt throughout the process will still be interesting and useful to some of you. Did you have a literary agent? How do you go about getting an agent? What does an agent do? I started working with my manager, Sharon, in June 2017. She approached me (we already knew each other because of her background in PR) and I signed with her to have her manage my bigger brand projects and collaborations. As soon as we started working together, she mentioned how she’d love for me to write a book. I told her it’s something I’d been thinking about but I wasn’t sure how to go about it. We had a lot of other projects on the go back then so we put the idea on the back-burner for a while. Although not solely a literary agent, Sharon acts as the middle (wo)man between me and whichever business or brand I’m working with. In other words, she does all the negotiations/ deals with the contracts etc and SHE IS A GODSEND. Of course, I check everything over myself too, but it is fantastic having someone who can speak on my behalf and who understands more about that stuff than I do. Also, let’s be honest, it’s much easier for someone else to sell you than for you to sell yourself and for them to ask for more money or a better percentage because you’re British and a creative and generally very awkward about that stuff. So, when Ryland, Peters and Small approached me at the end of 2017, Sharon was involved in every step. She was in every email chain, at every meeting, and she was the one that checked and double checked the contract, renegotiating parts if necessary and making sure everything was in order. What was your initial pitch/ meeting with the publishers like? Did you have to go in with sample chapters and all your ideas laid out? Because my publisher approached me, our first meeting was quite casual. I went in with some copies of our magazine but they already had a pretty good idea of who I was and what they wanted the book to be about. I’d jotted down a few sample chapter ideas to present them with and I mentioned some things I thought wouldn’t work and why. Luckily, we were completely on the same page and they loved all my ideas! After this, I started working with my editor, Alice, and we came up with the chapter outline, word count and flatplan. How did you get from having an idea for a book to knowing where to start with writing it? The flatplan was invaluable and is something we use for the magazine too. It’s basically a document that lays out every page and shows where each chapter will go and in what order (and in the case of the magazine, where the adverts will be). Once we had this decided we were able to work out how many words each chapter had to be based on how many pages it had been assigned and how many images we’d need to source or shoot to fill the allocated space. Having this break down made the whole process much less scary. I was basically working chapter by chapter rather than trying to think of the book as a whole. Unlike fiction, each chapter was a self-contained entity, and from my point of view they were like writing individual blog posts or long magazine articles. The whole process then felt much less overwhelming because I’d basically be practising doing that for the past decade! Publisher vs self-publishing – how did you decide? As someone who self-publishes a magazine you might have been surprised to find out that I went with a publisher for my first book. I’ve also have friends who have self-published books with massive success, so I guess I always thought this might be the route I’d take one day too. However, the thing that put me off and ultimately made me procrastinate on writing a book for so long was just how much extra STUFF I’d have to do (on top of actually writing it) in order to self-publish. Things such as hiring an editor, hiring my own designer to put it together, researching printers, working out what kind of print stock to use, paying for the books to be printed, figuring out how to get the book on Amazon as well as all the costs involved in producing the photo shoot! In the end, it actually felt like a huge relief to be working with a publisher who not only took care of all of those things but already had the expertise. If I’ve learnt one thing throughout this process it’s that publishing a book is VERY different to publishing a magazine! Also, let’s not forget, I got paid upfront too by way of my advance. If I was entirely self-publishing, I’d effectively had been working for nothing until the book was released. I’m so happy I decided to work with Ryland, Peters and Small on this book. They were fantastic from start to finish. What was your writing process like? How did you find the time to fit it all in? As you may already be aware, I am a hustler. The blog, the magazine and my various brand partnerships and collaborations keep me very busy. Initially I was terrified that I’d never be able to fit writing a book in too until I made the huge step of outsourcing. I hired two freelance writers to take care of pretty much all the blog content over the spring and summer last year while I was working on the book. I hired someone else to keep on top of our accounts and invoicing and I didn’t take on any other major brand work until my deadlines were met. That way, my responsibilities were solely writing the book and producing the magazine. Of course, it was still a LOT of work and a lot of words to write every day, but by handing off basically everything and anything I didn’t physically have to do myself, I was able to just focus on that. Is there anything you’re sad about not making the cut? In terms of the words and topics themselves, almost nothing was cut (maybe a few paragraphs were made a bit more concise so they’d fit within the pages they’d been allocated but that was it). The only things that were sacrificed were images, there were some that didn’t make the final book that I REALLY, REALLY loved (although I am excited to be sharing a few of the unpublished images of our goth bride set in this blog post!) 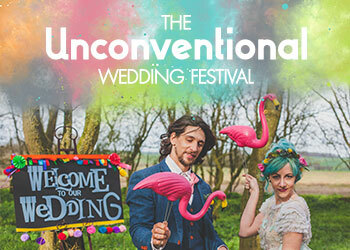 We did a massive two-day shoot to take the (non-real wedding) images for the book which resulted in THOUSANDS of pictures. I had to deliver around 150 images and of those only about 50 of them were used. I wanted to include some words of wisdom from the gal that pitched the idea of me to her bosses, approached me to write the book and edited my manuscript. How did you first come across Kat and Rock n Roll Bride? Funnily enough, my sister wrote her uni dissertation on Rock n Roll Bride nearly nine years ago while studying for a degree in Journalism, so I’ve been following Kat and reading her blog posts since the early days. Even back then (when I had no intention of getting married), it was obvious that Kat was a trailblazer in the world of publishing, and my sister and I were fascinated by the concept of and content in the blog (and later the magazine) as well as by Kat’s cool hair, obviously. 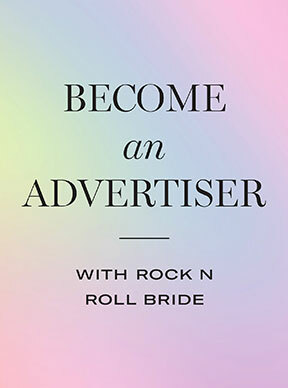 It was only when I got married myself in 2017, that I realised how valuable and perfect a Rock n Roll Bride book would be, with all Kat’s alternative wedding wisdom gathered over the years collected together in one place. What are publishers looking for in an author? Firstly, someone with a strong sense of identity, who is passionate about their subject matter and confident in their own unique ideas. Secondly (this might sound obvious), but someone who can write! Spelling doesn’t have to be perfect (that’s what editors are for), but an engaging style is invaluable. People often comment that they read Kat’s writing as if she is speaking directly to them, which is surely the mark of an engaging and intuitive writer. For illustrated non-fiction books like Kat’s, the text needs to be informative yet approachable. Not as dry as a textbook, but with well thought out ideas expressed clearly for readers to understand. A sprinkle of humour also doesn’t go amiss. Can you pitch to a publisher directly and if so what are you looking for in a pitch/idea? You can certainly pitch to a publisher directly. First and foremost, we are looking for ideas with a unique hook. Do some research in bookshops and on Amazon and make sure that the idea you are proposing has not been done 100 times before. And if it has, think about what your point of difference could be. Usually publishers will have a general contact email address for book proposal submissions on their website. A book proposal can be created simply in Microsoft word, and should include a brief synopsis of your book idea, a work in progress title, subtitle and chapter structure as well as links to your website or social media, any publicity you have got and any research you have done into comparative titles. A paragraph explaining how your idea taps into culturally relevant trends is also helpful. Of course, for illustrated publishers, attaching images related to your work will help them start to visual the aesthetic. Will publishers only consider authors with agents? Not at all. We work with lots of authors who aren’t represented by an agent. How does the process work from the idea to writing the book to seeing it published? At Ryland Peters & Small, we take unsolicited submissions as well as actively search for authors for book ideas we have come up with. We then present the idea and the author (using the book proposal document, see above) at a publishing meeting to our internal staff. If the feedback is positive and the publisher (big boss) is in agreement, we go ahead and email to confirm an offer for a book deal. Once the specifics of the contract have been negotiated, they are signed and work can begin. 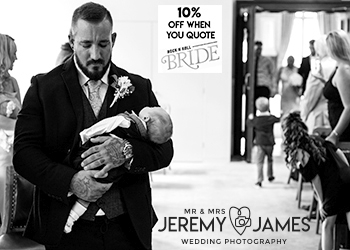 We usually require text and a few images for sales material at quite an early stage, then the rest of your text deadlines are grouped into pre-arranged batch dates. You will then work with your assigned in-house editor and design team to create your book over several months. You will liaise with your editor over the flatplan and your design team regarding the design and photography. Your text will be edited and proofread following the publisher’s house style. You will be given a final print out of your book to read through and mark up any changes before it is finally sent to press. After this, you can start working with in-house sales and marketing teams in order to plan a strategy for promoting the book. And if you like, you can have a launch party to stir up excitement and celebrate all that hard work! How much creative input will an author have? How much creative input you’ll have will partly depend on the policy of the particular publisher you are working with. Generally speaking, the whole process of creating a book should be very much a creative collaboration and a case of the author and the publisher each having mutual respect for the other’s areas of expertise. An author will likely never have entire creative control unless the book is presented to a publisher and accepted fully finished. The idea for the book may be your baby, but publishing is a commercial enterprise. As the publishers are bearing the costs, they need to be happy with it too, and confident that it will sell in as many markets as possible. Taking the advice of publishers can ultimately help your book to become more successful, which is in the interest of both parties. You should aim to find a publisher and work with a team who completely ‘get’ your vision from the get-go, which should set things off on the right path. Usually, after a bit of back and forth, a book is produced that both parties are equally very proud to set free into the world. Images taken from Rock n Roll Bride by Kat Williams, published by Ryland Peters and Small. You can order a signed copy via our website or pick it up in all the usual book store type places in the UK and in Barnes and Noble in the US. Hair: Love Hair & Co.